Major corporations such as Chevrolet and Disney supported voluntary carbon offset projects under new methodologies, some of which they helped develop. But 2014 is ending with a lack of clear policy signals on the international level, although national and subnational programs continue to move forward at an encouraging pace. 30 December 2014 | As the Lima climate talks went into overtime, they followed the 20-year tradition of previous international climate negotiations: starting with a bang of enthusiasm and ending, two days over schedule, in a whisper. Observers can continue to argue about the achievements of this negotiated text or that acronym’s placement or they can do what the weary staffers at Ecosystem Marketplace plan on doing taking a much-needed break for the holidays and starting afresh in the new year. With the 20th Conference of Parties (COP 20) once again representing a mixed bag of progress and political gridlock, much more breaking action occurred and is being demanded on the ground. Some of the biggest events of this year including the Super Bowl, the Sochi Olympic Games, and the World Cup offset their greenhouse gas (GHG) emissions. In Ecosystem Marketplace’s State of the Voluntary Carbon Markets 2014 report, project developers reported selling 76 million tonnes valued at $379 million, with forestry and cookstove projects fetching some of the highest prices. Demand for forest carbon offsets rose 17% in 2013 albeit at lower prices than in the previous year while a subsequent report for the Global Alliance for Clean Cookstoves showed prices for these particular offsets rose a modest 5% to $10.4 per tonne of carbon dioxide equivalent. Chevrolet one of the largest buyers in the voluntary carbon markets went back to school in a big way, purchasing more than 500,000 offsets developed under a new methodology designed to reward US-based colleges and universities for renewable energy and energy efficiency initiatives. Perhaps most unexpected in 2014 was the more than 400,000 protestors who took part in the People’s Climate March, which heralded the start of New York City’s Climate Week in late September. The turnout, dubbed “the largest mobilization against climate change in the history of the planet, preceded a major declaration by companies, governments, indigenous groups and non-profit organizations pledging to end deforestation by 2030 and promising $1 billion toward the effort. Similar pledges materialized at COP 20, as Norway and Belgium helped the Green Climate Fund reach its $10 billion initial fundraising goal. However, analysts say the achievement is more symbolic than financial, as it represents only a small fraction of the finance that developed countries have promised to provide to developing nations to deal with the impacts of climate change. Though the U.S. historically has struggled to implement global commitments negotiated at the COP (Kyoto, anyone? ), bilateral agreements are all the rage. California started off the year by linking markets with Quebec, marking the first cross-border compliance trading program in North America. The state also entered into a pact with Mexico, which agreed among other things to cooperate on carbon pricing. This could eventually lead to another market linkage, where California would recognize REDD offsets generated in Mexico. The Verified Carbon Standard (VCS) has received the full blessing of California regulators to pre-screen coal mine methane and other types of offset projects for the state’s regulated carbon trading program. However, the VCS hopes to take its participation in the California program even further by helping regulators pursue international REDD offsets using the VCS jurisdictional approach. Communities in Mexico are also preparing for this possibility. A community of San Juan Lachao in Oaxaca, Mexico has developed the first pilot carbon offset project under the Climate Action Reserve’s Mexico Forest Protocol, with voluntary funding provided by Disney. While California continues to figure out the rules and limits of its offset program including approval of a new coal mine methane protocol and the controversial invalidation of ozone depleting substances offsets the federal government has promised not to step on any toes. The Clean Power Plan, launched by the U.S. Environmental Protection Agency in June, heeded calls to give state and regional cap-and-trade programs a compliance role in its proposed rules for reducing carbon pollution from existing power plants in the US, but could not find a role for carbon offsets as a compliance mechanism. Most recently, the U.S. made headlines with its joint emissions reduction announcement with China. Both countries, which account for one-third of all global emissions combined, set reductions targets that relate to their planned “Intended Nationally Determined Contributions for the upcoming COP 21 talks in Paris. Outside of the U.S. pact, China has been on a roll with its own climate agenda. The country currently has seven pilot emissions trading schemes up and running, and looks to propose a national ETS in 2015 for implementation in 2016. Also in Asia, South Korearemains on track to launch its own ETS in January. This good news comes on the heels of some setbacks in the carbon world. In a move long seen coming, Australia became the first country in the world to reverse its carbon pricing program. Instead, the government has agreed to create an AUD$2.5 billion Emissions Reduction Fund, which will serve as a reverse auction for the government to buy from competing sellers. Analysts don’t expect South Africa to go the same route. While the country delayed its carbon tax a second time now set for January 1, 2016 the policy has better political acceptance. 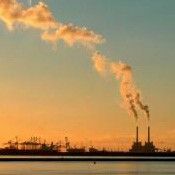 The delay comes on the heels of a policy paper that sets out a strong role for carbon offsets within the program, including a plan to include standards developed for voluntary carbon markets. The South Africa plan proposes welcoming offsets developed under both the VCS and the Climate, Community and Biodiversity Standard (CCB), but the regulators won’t have to think of those standards separately anymore as the VCS will assume the day-to-day management of the CCB a nod to the rising importance of the community and biodiversity outcomes of carbon offset projects.